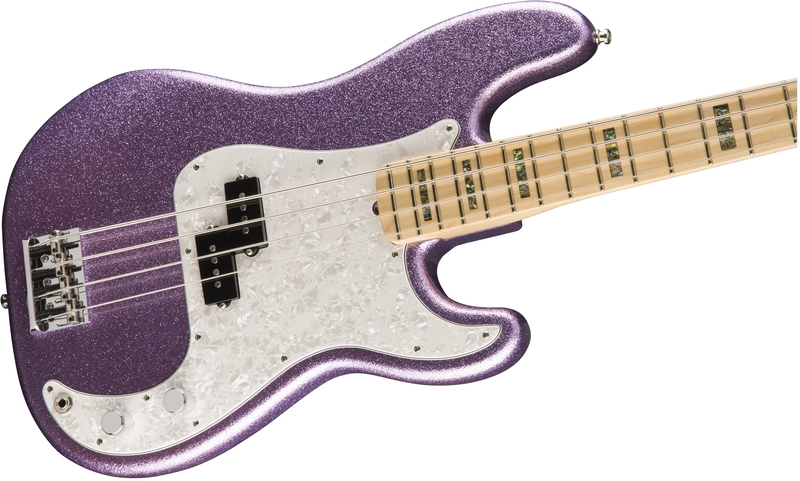 Adam Clayton’s impeccable groove and expansive bass tone form the sonic foundation of one of the biggest bands in the history of rock music: U2. 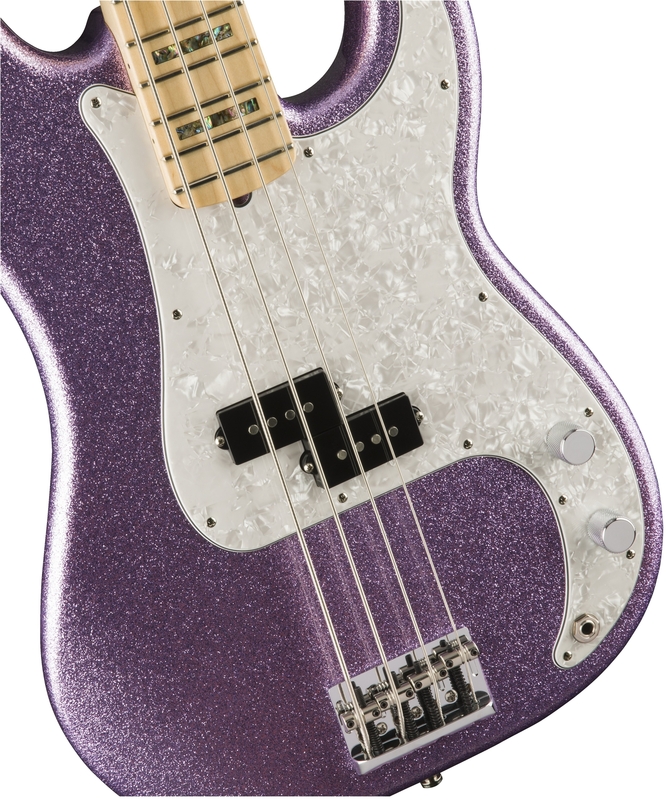 Fender’s Adam Clayton Precision Bass puts his rock-solid sound and style in your hands, with elegant appointments and authentic Fender tone, including a potent Fender Custom Shop pickup and a stunning limited-edition Purple Sparkle gloss finish with matching headstock. 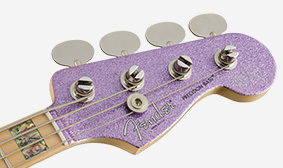 Includes a custom houndstooth hardshell case with plush interior. 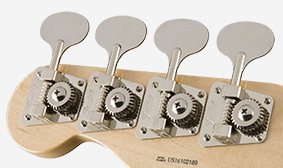 Elemental Precision Bass tone comes from a seismic Custom Shop split-coil pickup. 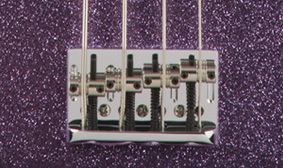 The specially designed HiMass bridge on Clayton's bass has a lot of mass for rock-solid sustain, intonation and tuning stability. 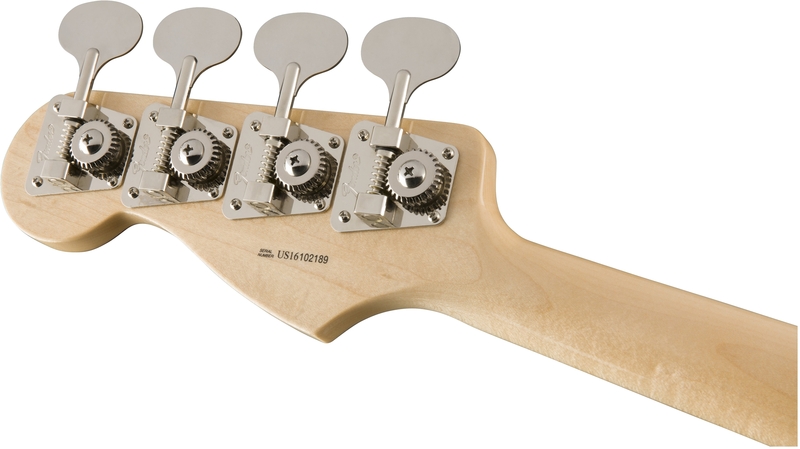 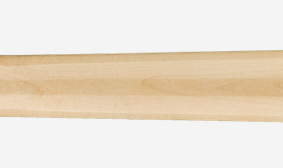 Clayton's signature Precision Bass features a distinctively sculpted custom neck profile for remarkable playing comfort. 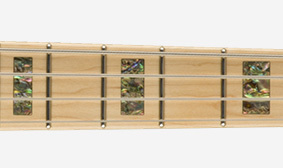 An authentic design element from the ‘60s, block fingerboard inlays add a touch of elegance to this bass. 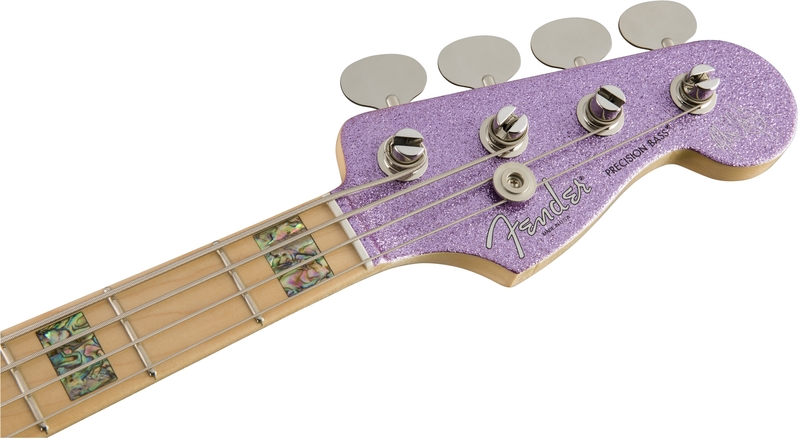 The Adam Clayton Precision Bass features the elegance of a matching painted headstock—a design element from Fender’s ‘60s high-end “custom color” instruments. 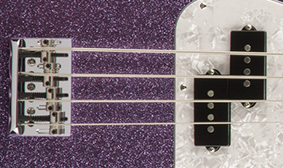 In a special mid-’60s design touch, the Adam Clayton Precision Bass features seldom-seen oval "lollipop" tuning machines.